With 54 models to choose from the RCS4 ROBO Cylinder offers a solution to almost every linear motion application. Equipped with a battery-less Absolute Encoder as standard which means; home return is not required an battery replacement never needed. 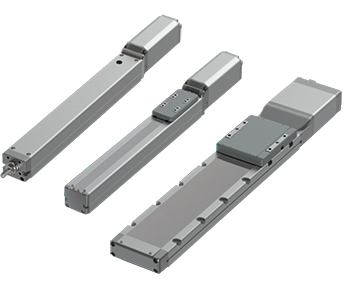 Built-in linear guide allows the actuator to take moment loads without requiring external guides. The wide body types are able to deal with high load moments in the pitching, yawning and rolling directions.